This entry was posted in Family, Relationships and tagged BosGuy, Boston Guy. Bookmark the permalink. Let me tell you, it gets even better. 45 years here and still going! Congratulations! 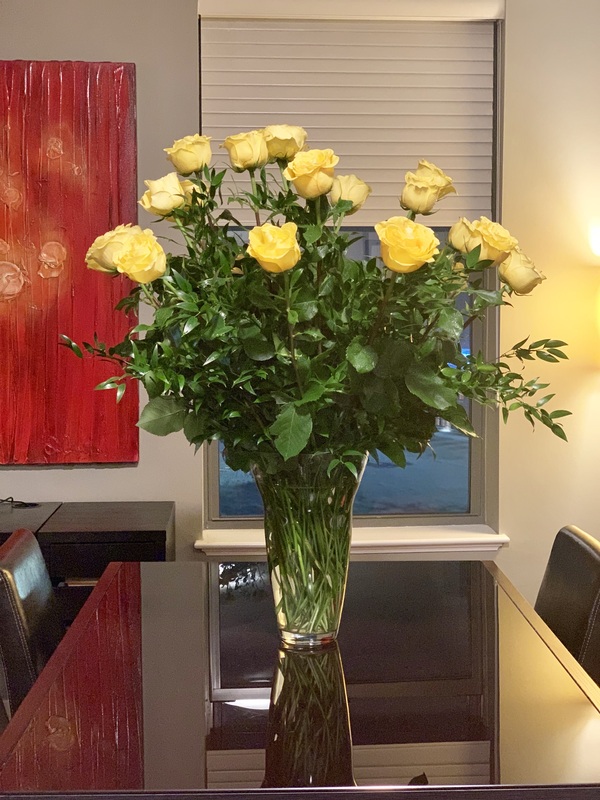 My Spouse loves yellow roses too. Happy 20th anniversary! Glad to see the romance is still alive. Congratulations. Very nice, the flowers and Sergio. happy anniversary; the roses are lovely! Congrats. Cheers to 20 more.